If you're a plant-based eater, chances are you spend a major amount of your meal-times in the kitchen. Whether it's making a hearty stew, a saucy pasta, or citrusy tacos, the task of doing the dishes post-food fest can seem truly obliterating after a long day. On days like these when I just want dinner to make itself and clean-up to be a breeze there are three things I am certain to choose from. 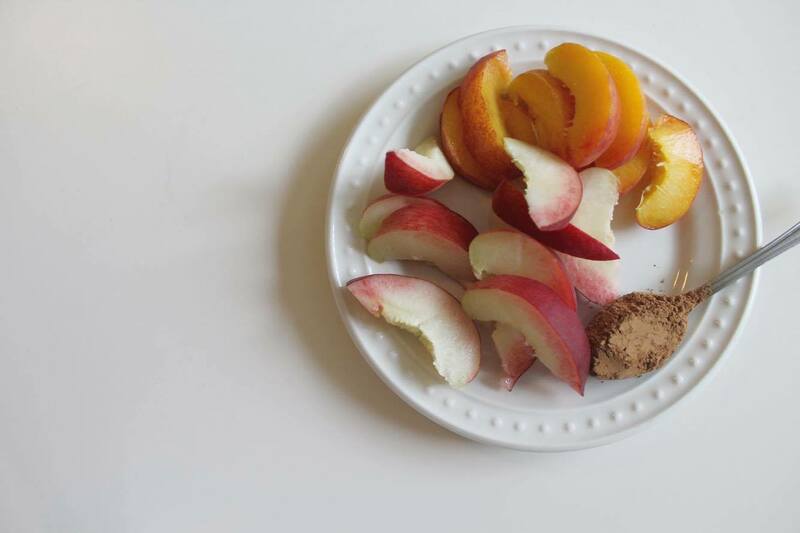 Below, the simplest of dinners (or lunches!) for the laziest of days. 1. Preheat you oven to 425 degrees Fahrenheit. 2. 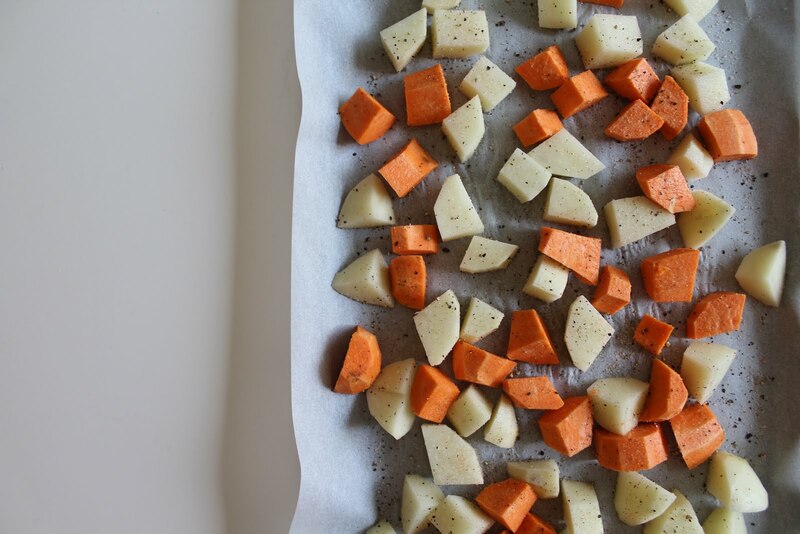 Peel (optional) and chop your potatoes and sweet potatoes into even sized cubes. Alternatively, slice them into long strips like french fries or wedges. 3. Cover a large baking tray in parchment paper and spread your cubes onto it with minimal overlap. 4. Sprinkle on the salt and pepper (and garlic salt and cumin if using). 5. Put the tray into the oven and set your timer for 25 minutes. 6. After 25 minutes, check on the potatoes and flip them all so they crisp up evenly. 7. Put back into the oven for another 5-10 minutes, until the edges turn brown and crispy. 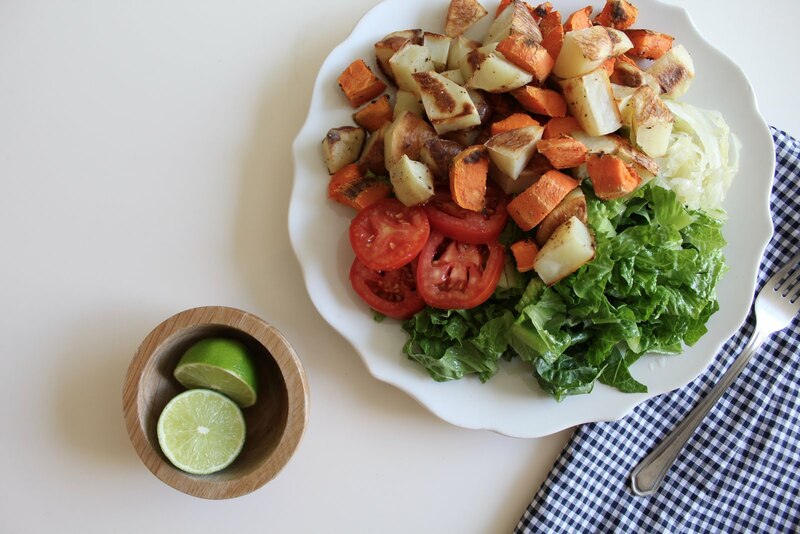 Note: An even quicker alternative to this recipe is simply steaming the potatoes for about 20 minutes (I prefer using all Russets for this), seasoning with salt and pepper, and using the full Romaine leaves as taco boats for transporting the starchy goodness! 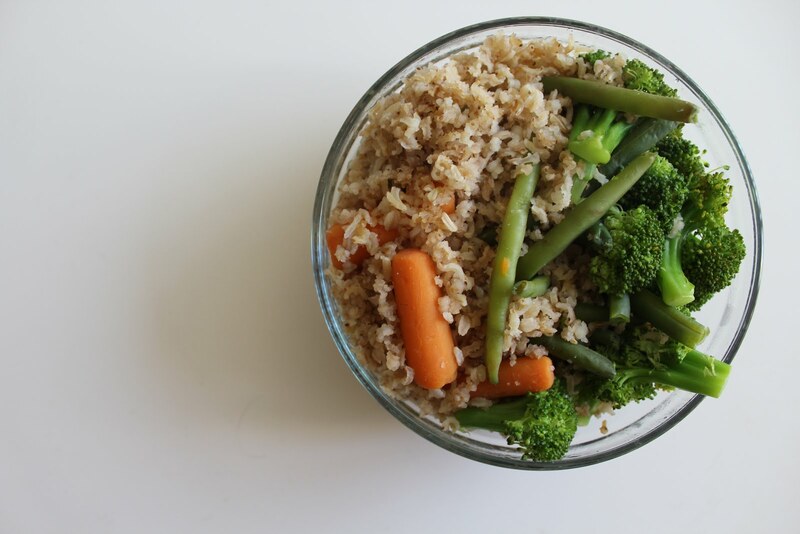 Rice and veggies: simple but yummy, and always leaves one full and happy. I usually use broccoli and green beans - included below - but any quickly steamed veggie will work: baby carrots, frozen veggies, sugar snap peas, etc. Note: If you've got a kettle, boil water so it'll be an even quicker process! 1. Measure and pour dry rice into a large pot, turn to low heat and leave the lid off. 2. Toast the rice until you hear a slow pop sound, making sure to shake it around so the bottom-most grains don't burn. 3. Once the rice is toasted, add a few pinches of salt and about 2 cups of water - I like to eyeball it. 4. Cover the pot and leave on low to medium-low heat for about 25 minutes. 5. After those 25 minutes, add the green beans (if using), as these take slightly longer to soften than the broccoli. 6. Cover once more and leave for another 5-7 minutes, making sure the rice has enough water. 7. Once your rice is nearly ready, add in your broccoli (and a pinch of salt & pepper) so it will steam with the remaining water. 8. After about 5 minutes, turn off the heat and serve, making sure the broccoli is ready to your liking. 1. Defrost bananas for about 20 minutes so they blend more smoothly and easily. 2. 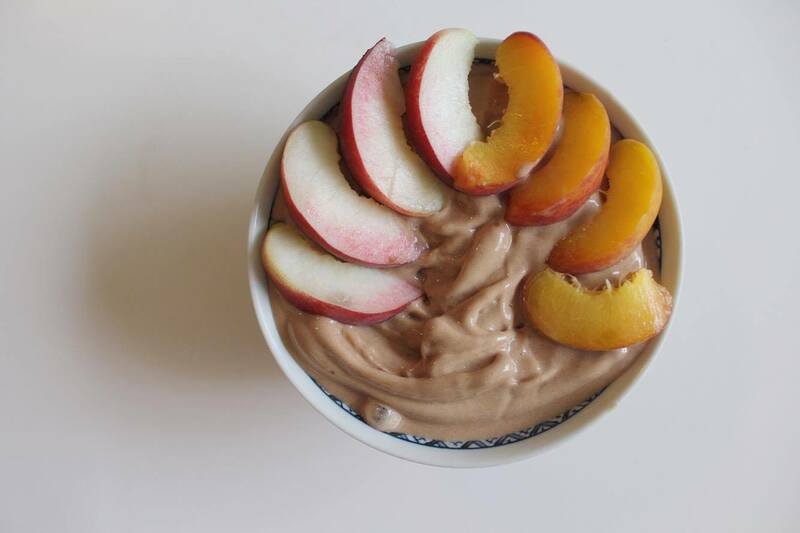 Once softened, place in either a high-power Nutri Bullet or a high speed blender and blend, blend, blend! This might take a while! 4. Once everything is smooth and incorporated, serve and add toppings!